A recently-filed bill with the upbeat title “The Modernizing Recreational Fisheries Management Act,” H.R. 2023, would unfortunately do just the opposite. By gutting one of the most important improvements of modern fisheries law, we believe that this bill would move us backwards to a time of widespread overfishing. Congress first banned overfishing in 1976, but a provision permitting “optimum” yield above sustainable levels led to widespread declines in fisheries. Lawmakers eliminated that loophole in 1996 with the Sustainable Fisheries Act (SFA). “The SFA attempted to address overfishing by capping fish harvests at maximum sustainable yield (MSY) …. However, recent evaluations of stock status have shown that ten years after enactment of the SFA, overfishing is still occurring in a number of fisheries, even those fisheries under a rebuilding plan established early in the SFA implementation process. Ensuring catch stays below the ACLs. The results have been striking. The National Oceanic and Atmospheric Administration (NOAA) most recently reported that 91% of species are fished at sustainable levels. 41 have recovered to a healthy population size after having been driven below the overfished level. Ten years after the 2007 reauthorization, we have achieved significant progress. It is abundantly clear that (1) recreational and commercial fishing are different undertakings and (2) managers can and do use different methods to regulate them. But under current law those different approaches play out under the auspices of sustainable quotas that form a backstop against overfishing. H.R. 2023 would remove those safeguards, exempting every fishery which the Secretary determines is not subject to overfishing. And since ending overfishing has been the goal of fisheries management for the last 40 years, that category includes 286 stocks –the vast majority. 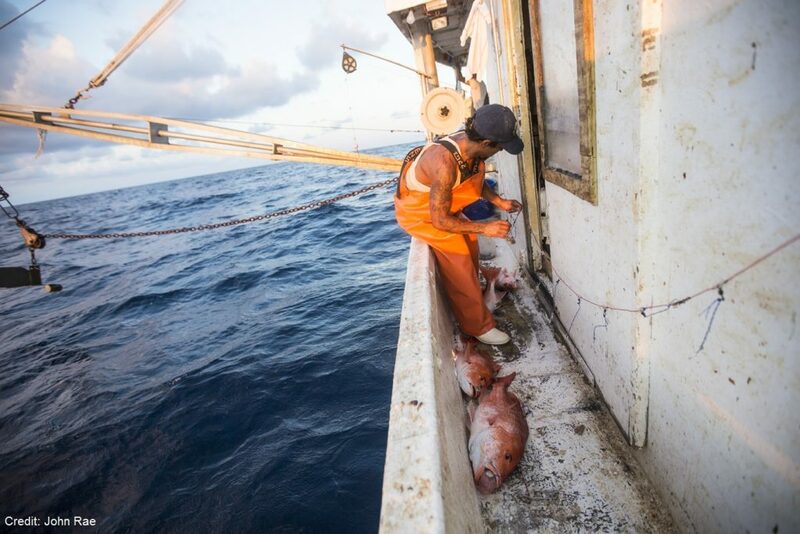 The bill also would exempt stocks where fishing takes place below the target threshold (i.e., overfishing is not occurring) and there has been no peer-reviewed stock assessment and stock survey in the last five years. This provision appears redundant, but in any event would be nearly as problematic; for example 30 of the 199 high priority stocks tracked by NOAA were last assessed in 2010 or earlier. While frequent stock assessments and surveys are valuable, lack of them should not waive fundamental safeguards against overfishing. Similar to previous bills, H.R. 2023 also includes an exception for so-called “ecosystem component” species, a category defined broadly as to include every “non-target, incidentally harvested stock of fish in a fishery.” This provision would remove protections for key species like sharks that are caught while fishermen target other species. Nor does the bill clarify whether the exception covers a species like yellowtail flounder that is bycatch for scallopers but targeted by other fishermen. The bill contains other problematic provisions, but H.R. 2023’s most striking feature is its wholesale rejection of quota management without any indication of what we would use in its place to prevent overfishing. This approach, which risks a return to considerable overfishing and accompanying harm to fisheries and the Americans who depend on them, is not one we should take in the name of “modernizing” a very functional fishery management law. Pub. L. No. 104-297, 110 Stat. 3559 (1996). S. Rep. No. 109-229 at 6 (2006). 16 U.S.C. §§ 1852(h)(6) (ACLs may not exceed recommendations of SSCs), 1852(a)(15) (fishery management plans must include ACLS and measures to ensure accountability with them). Secs. 105 (establishing exception and defining “ecosystem component species”). Precluding fishery management councils from adopting specific management measures, as section 103 would, runs counter to the regionally-based logic of the MSA as a whole. And putting up roadblocks in front of exempted fishing permits (section 106) would stymie fishermen-driven innovation. How important is the role of science in managing U.S. fisheries? This entry was posted in Domestic, Policy and tagged fisheries law, fisheries policy, Magnuson Stevens Act, MSA, sustainable fisheries. Bookmark the permalink. Both comments and trackbacks are currently closed.